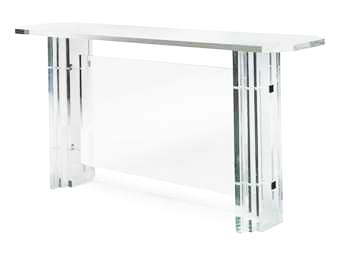 A Spanish chrome mounted acrylic console table designed by Duarte Pinto of Madrid. 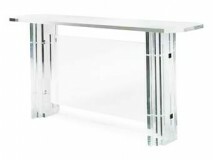 A solid constructed console with polished chrome fittings. To ask a question about the 1970’s Continental Acrylic Console click here. We'll email you the answer as soon as possible. If you have a question about the 1970’s Continental Acrylic Console, fill in the form below and we'll email you the answer as soon as possible.